Students storm the court after a big game. As humans and sports fans, we always appreciate and find sympathy for the weaker team. Yes, I’m talking about the famous “Underdog.” There is nothing more exciting than cheering for the underdog, but there may be a problem when the “underdog” wins and manages to upset the stronger team. 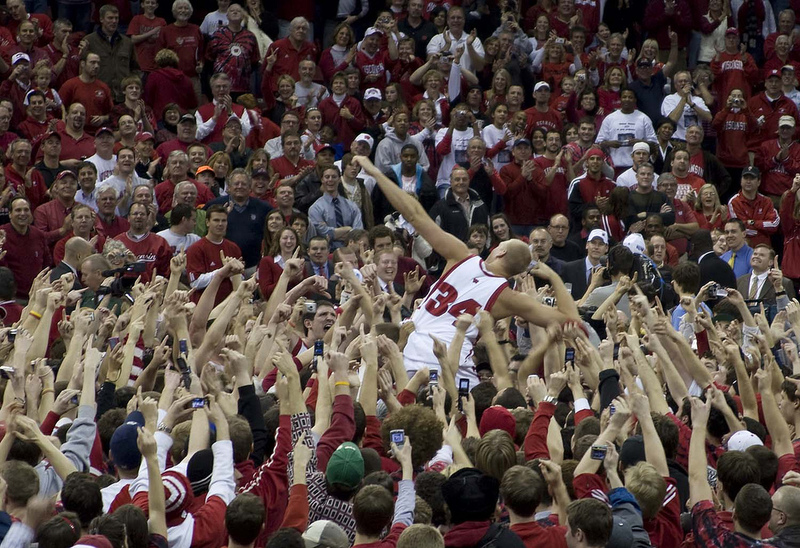 A trend has developed in collegiate sports of fans storming the court or field when their “underdog” wins. Recent incidents have brought up some questions, speculations and controversy about how dangerous it is for players, coaches and even fans to storm the field. All we see on TV is a bunch of happy and excited fans, but spectators may not understand the dark and dangerous side of this celebration. Glier states that the rushing of the court is not as dangerous as the Running of the Bulls, but just wait, some administrators say. Just wait. One of these days, there is going to be an incident–a blow to the back of the head, a 130-pound student caught in a stampede, a 240-pound athlete fed up with the abuse or a fan bent on violence. Then these overenthusiastic fans will not seem merely like innocent participants in celebration. Georgia University’s Athletic Director, Greg McGarti, reflected on this issue; “Unfortunately, it might be that something tragic is going to happen to get the point across that these court-stormings are serious business,” McGarti concludes. While the energy and fun of rushing your winning team’s court is tempting, it is important for fans, athletes and coaches alike to keep in mind the risk of getting caught up in a dangerous stampede.